While we can’t tell you which trails you can handle, we can certainly tell you which trails you should avoid at all costs aspire to conquer. We’ve outlined 15 of the most treacherous, deadly and downright sinister slopes on the continent—and they are exactly as epic as you’d imagine. “Al’s Run” is named for a Taos instructor who skied with an oxygen tank after suffering a heart attack— which is what you might be doing after this run. If you can’t handle leg-pulverizing moguls the size of small cars, this run just isn’t for you. The trail stands at a whopping 1,800 vertical feet long and is directly below a chairlift. 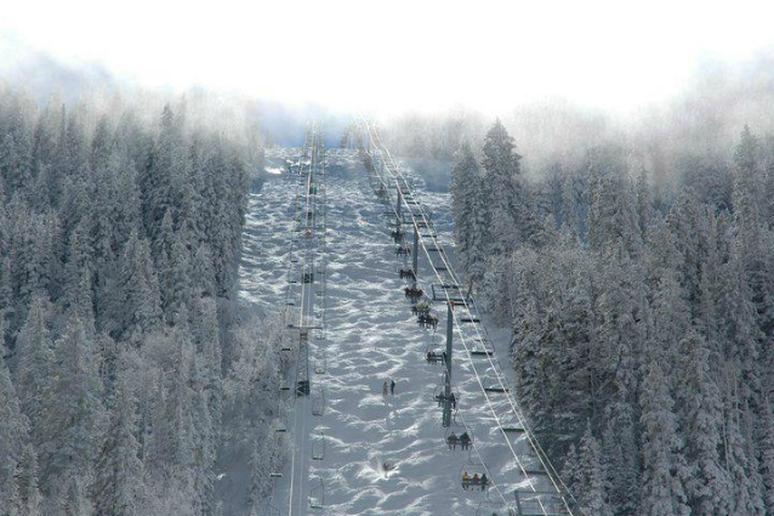 This run’s going to take your breath away. The fear-factor here isn’t entirely in the pitch, a sharp 40 degrees. It’s not in the length, a quick 1,000 feet downhill. It’s in what you don’t see until it’s too late. 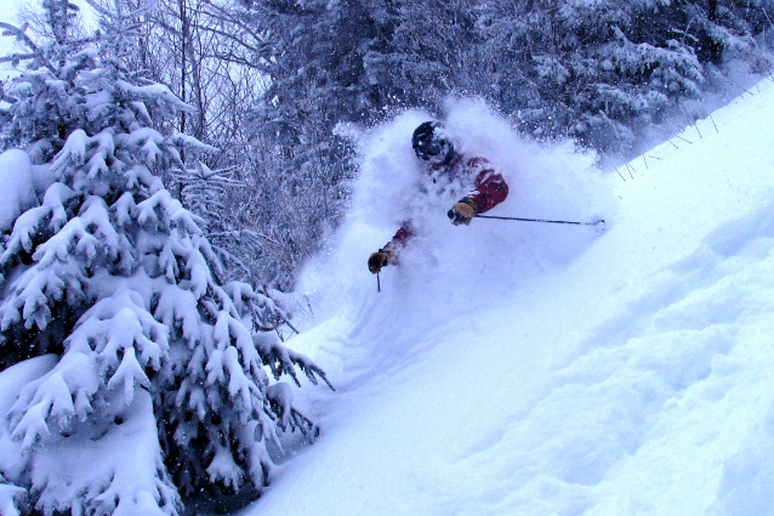 Great Scott is littered with rocks, many of which are hidden beneath massive amounts of fluffy Utah powder. The real thrill is when these rocks give you air you had no idea was coming. Throw a few other obstacles in there and it makes for one heck of a thrill ride. Although not on the same trail, professional free skier Jamie Pierre was killed in an avalanche in Snowbird’s South Chute. 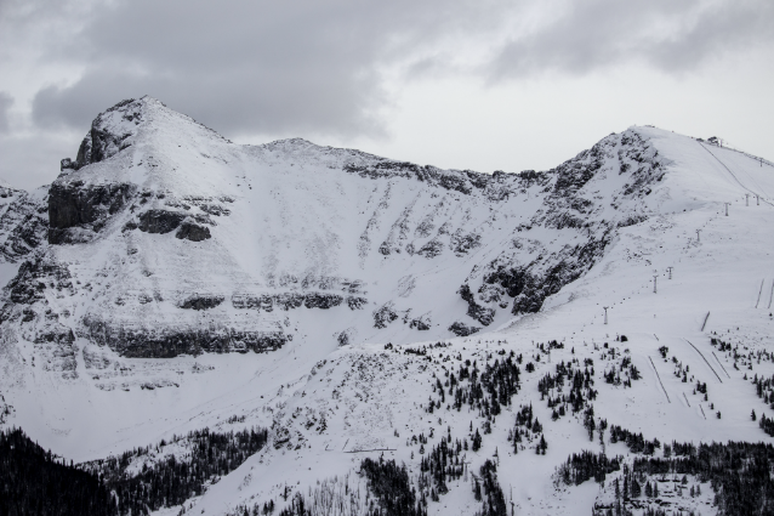 The resort had not yet opened for the season, so no measures had been taken to protect against avalanches. Pierre died of trauma after rolling 800 feet over rocks and debris. 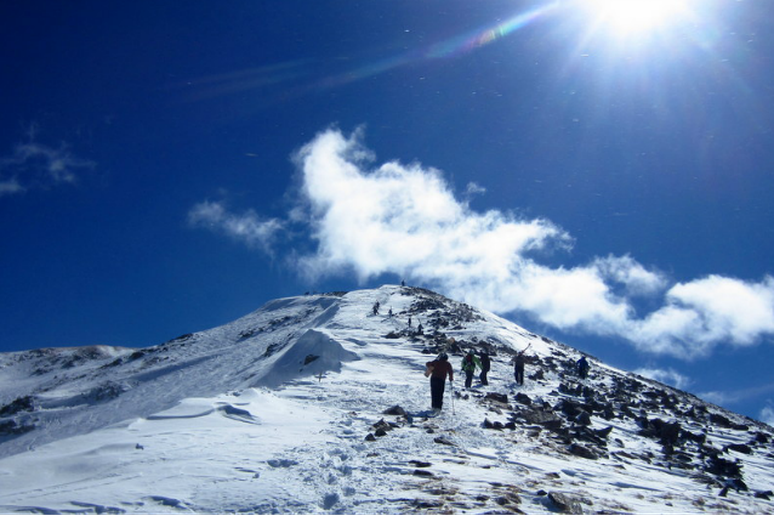 As legend has it, this slope got its name from a hiker’s quip: supposedly, the hiker said only a mountain goat would be able to climb this treacherous trail. Well, it’s a good thing that hiker didn’t ski. Goat is considered a top challenge at Stowe and one of the most difficult trails in the Northeast. A double black standing at an incredible 3,241 feet long, Goat has an average pitch of about 36 degrees. 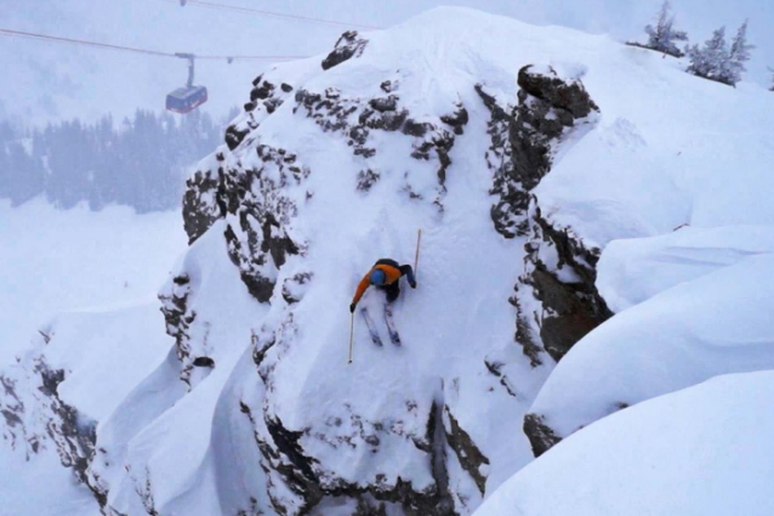 Double fall line, boulders, streams, moguls— new set of legs not included. But after this run you’ll wish they were. #12 Delirium Dive—Sunshine Village, Alb. What do you get when you combine a tight rock-lined channel, a pitch of around 50 degrees and obstacles throughout? You get Delirium Dive, but before you line up to take the plunge, you’ll need a radio transponder—which will help first responders find you in the event of an avalanche—but that certainly won’t be your main concern on the way down. 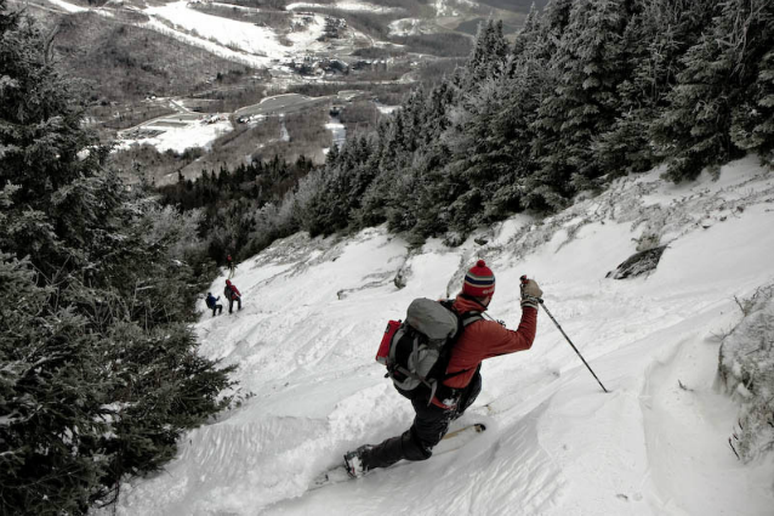 #11 Paradise—Mad River Glen, Vt.
We could tell you that Mad River Glen is regularly ranked the toughest mountain in the East. We could mention that they choose to leave their slopes untouched by groomers. But really, the best indicator of difficultly comes in the form of their well-worded motto: “Mad River Glen: Ski it if you can.” The mountain ranks Paradise’s difficulty at a single black diamond, but if the course were at any other location it would almost certainly get the two-diamond rating it deserves. The course starts with a minimum eight foot drop onto a 38-degree, never-groomed slope. Below you’ll dodge everything from trees to partially-frozen waterfalls to the occasional collapsed skier. And to top off this sweet nerve shattering deal, you have to ride up solo, as they have one of only two single-rider chairlifts in the country. Bet it won’t be hard to talk yourself out of this run on the way up. #10 Birds of Prey—Beaver Creek, Colo.
A regular stop on the men’s downhill World Cup tour and double-black gem, Birds of Prey is nothing to mess with. This is the very run that nearly took out pro Norwegian alpine skier Aksel Lund Svindal. He lost control after landing a jump, careening into a fence. He returned to compete on Birds of Prey and won the following two competitions. This 2,627-foot vertical, sickly steep, tree-laden run will test your limits. Make sure not to catch it on a windy day, as the gusts on this course have been known to approach 100 mph. In those conditions you’ll be down the mountain in no time— hopefully in one piece. 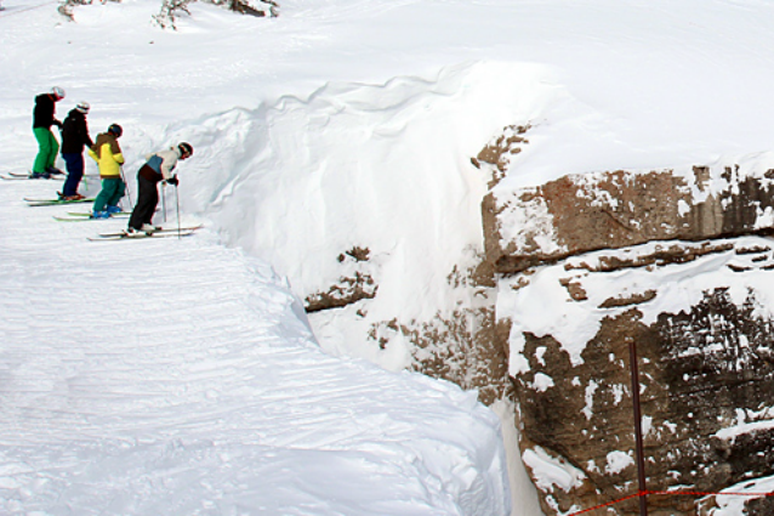 #9 Corbet's Couloir—Jackson Hole, Wyo. This slope—one of the most insane marked trails in the U.S.—is at the top of many experts’ (and Skier Magazine’s) bucket list. There are two spots where you can enter and both spots will have you free-falling immediately. The first option is a 10-15 ft. drop which will have you up close and personal with some rocks if you don’t make a sharp turn upon landing. The second option is generally clear of rocks but the drop is usually at least 20 feet, depending on snowfall. The fun doesn’t end there: the pitch is 50 degrees where you land so get ready for some speed. And don’t worry about going it alone; since the tram above gets a clear view of the trail and curious onlookers gather around to watch the daredevils drop in. According to the resort, no one has ever died skiing Corbet’s, though there have been many injuries. One account says that a man on trick skis attempted the drop-in only to break both legs, and his jaw, before knocking himself unconscious. 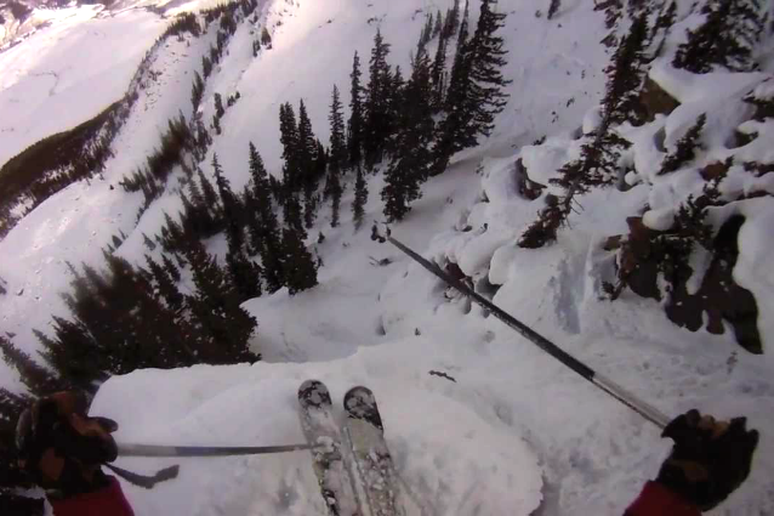 #8 S&S Couloir—Jackson Hole, Wyo. If the Corbet’s drop-in left you wanting more, this is the answer to your prayers. The S&S adds another 10 feet of air, making the total free-fall upwards of 30 feet. The entrance is much narrower and, of course, there are bare rocks waiting for you. It just doesn’t get too much more dangerous than this, and for that reason, the S&S isn’t open very often. Even when the conditions are just right, you need permission from the ski patrol to attempt the trail. Rambo is the steepest man-made run in all of North America with a 55 degree pitch. If that doesn’t sound like enough of a challenge, you can enter off the north face and battle a series of rock faces and cliffs. This run requires superb control and flawless judgment, along with a hearty dose of overconfidence. Make the wrong move and prepare to tumble down fast—but not too far. Luckily Rambo is only about 1,000 feet long and spills out onto a blue trail, so the more realistic skiers can call you a medic. Among the several steep and deep runs at Kirkwood stands Patrolman’s—no doubt one of the most sinister runs on the continent. The run is so steep and treacherous that snow won’t even stick to it most years, leaving the rock faces bare and unskiable. The rock-lined run is attempted by very few people when it is open and even fewer make it down without needing some medical assistance. #5 Black Hole—Smugglers' Notch, Vt.
Tree-huggers will most definitely want to skip this run; this course has trees, upon trees and some of the tightest glades in the world. The only triple black diamond slope in the Northeast earns its exclusive title in more ways than one. With a starting pitch of almost 70 degrees and a 53 degree pitch through thick woods, this is not your average run. “Extreme experts only,” the mountain’s website warns, otherwise you’ll be pulling out some intense splinters— ouch. 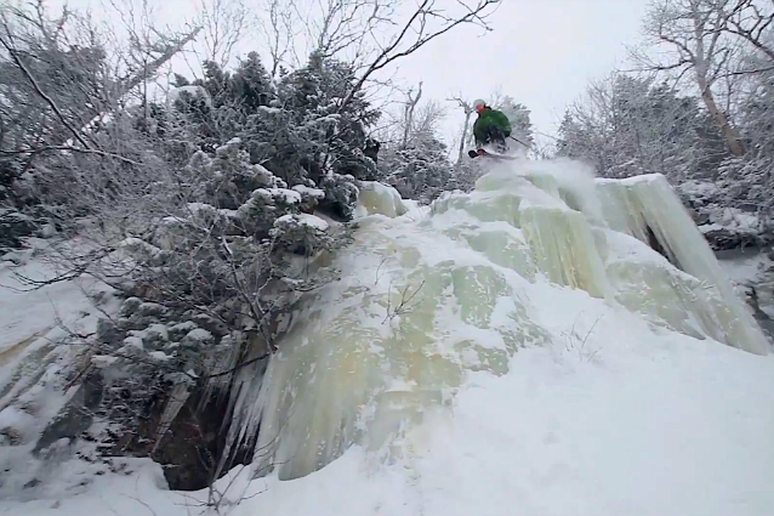 Smuggs’ backcountry is no joke either: in 2005, extreme skier Alec J. Stall was killed in an accident in while being filmed for a video. The 23-year-old skied down a chute, falling in the process. 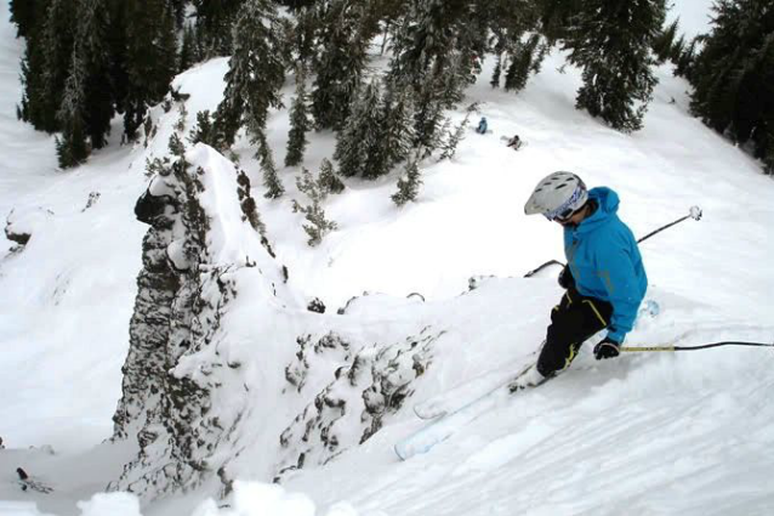 While attempting to get up snow came rushing down the chute, pushing him over a 500-foot high cliff. This lift-served section of Squaw offers challenges so intense it brings the pros out to play. Big names like Olympic Gold Medalist Johnny Moseley and Team USA Free Ride skiers Jessica Sobolowski-Quinn and Kevin Quinn regularly visit Squaw’s treacherous KT-22 (The Quinns even married there). Those famous modern-day skiers aren’t included in the list of 46 Olympians who have also trained at Squaw Valley. KT-22 has something for every reckless rider, Chute 75 features punishing moguls, The Fingers are a collection of narrow rock-lined chutes and McConkey’s is a 120-foot vertical run standing at a sobering 68.5 degree pitch. 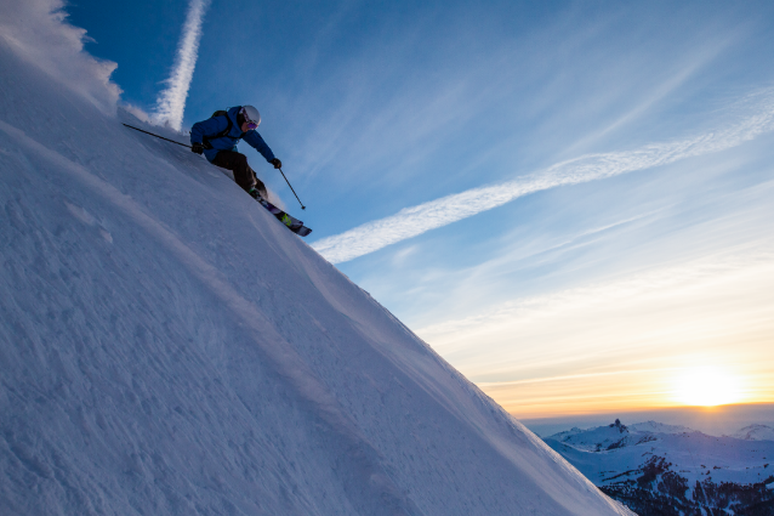 McConkey’s run was named in memory of Shane McConkey, the famous Canadian skier and base jumper who called Squaw home. In 2009 McConkey died in the Dolomite Mountains in Italy while performing a double backflip stunt involving skis and a wing suit. KT-22 has claimed an unusually high number of lives in the last few years. An article by Cody Townsend, a Squaw local, describes the series of deaths as a curse. “For the past couple of years, we seem to have been trapped in a vortex of misfortune—we keep losing our people, one tragic accident at a time,” Townsend said. #2 East Vail Chutes—Vail, Colo.
Vail has an impressive notoriety among professionals, enthusiasts and even people completely outside the realm of snow sports. Internationally famous for breeding Olympians, back county challenges and perfect powder, Vail truly is “like nothing on earth.” Unfortunately, these conditions that make the thrill of the ride so great bring with them implicit danger. 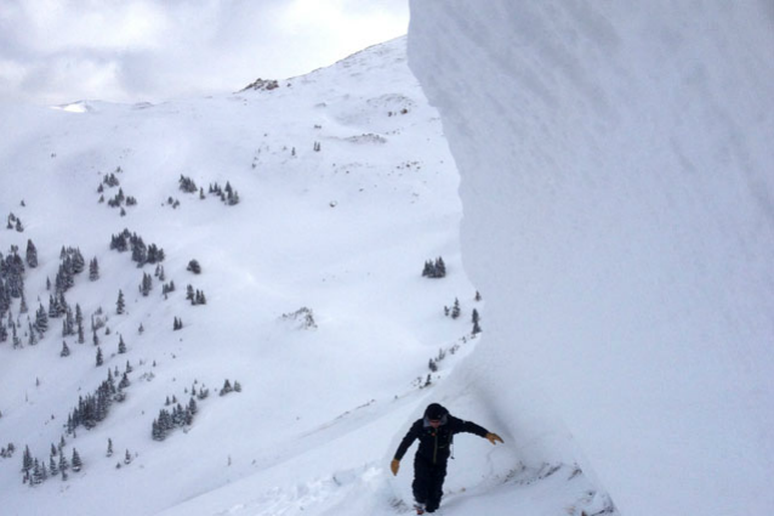 Vail’s eastern back country has had many avalanches. One that took place last season claimed the life of Tony Seibert, grandson of Vail co-founder Peter Seibert. The 24-year-old had been featured in two snow sport adventure videos and was an extremely advanced rider. #1 Sheep Creek—Loveland Ski Area, Colo.
One of the most devastating avalanche tragedies in recent years took place in the back country of Loveland Pass on April 20, 2013. 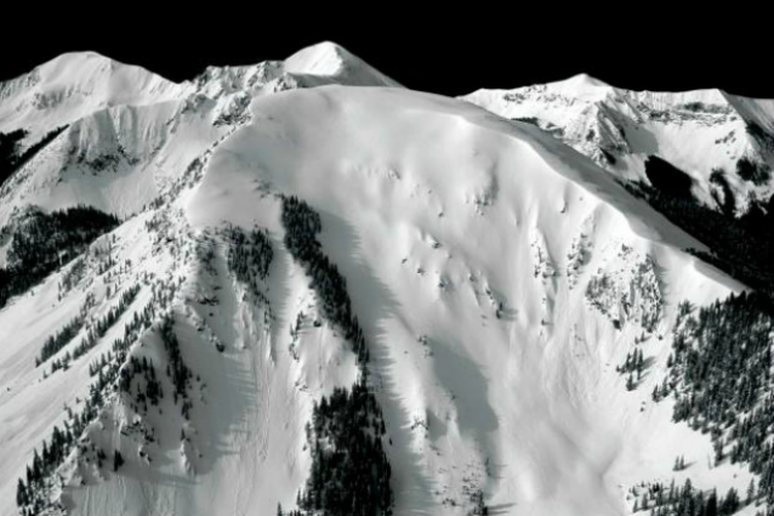 Four snowboarders and one skier, all of whom had avalanche safety gear, were killed. The night before the avalanche, some of the riders among the group hosted a benefit for The Colorado Avalanche Information Center; they were knowledgeable in safety procedures. To the left is a photo of the crown from the avalanche described above. 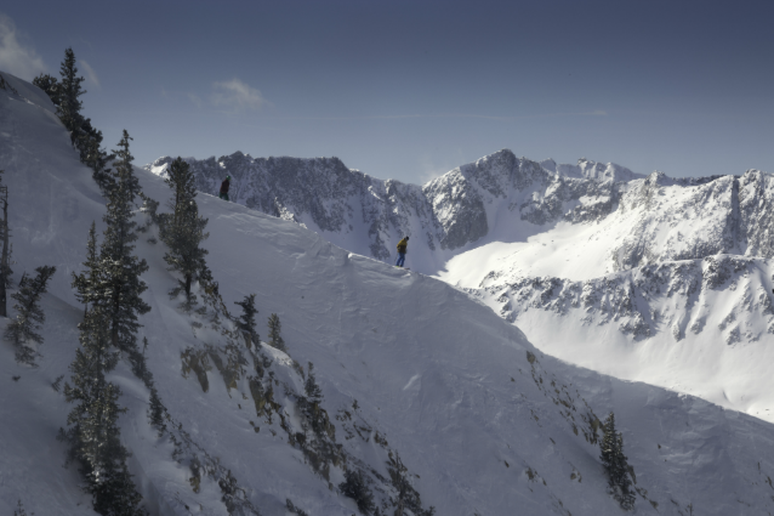 With a vertical drop of 2,210 feet, a steep grade and an average 400 inches of snow annually, Loveland Pass’ back country is a prime location for experienced riders. But rewarding runs don’t come without their fair share of risks.